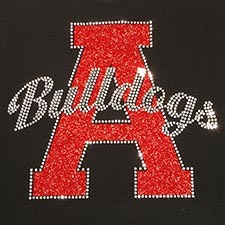 Add some sparkle and shine to your custom apparel with rhinestones! You can do your entire design in rhinestones or combine rhinestone accents with another process. Rhinestones are perfect for special events, resale, teams, and more! 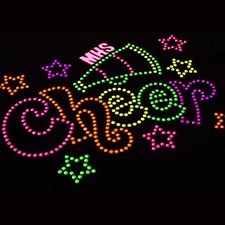 You can even get personalized names and numbers in bling -- perfect for your team or group! 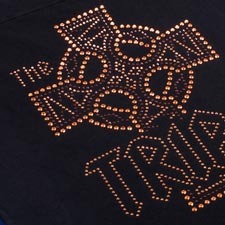 Rhinestones are a cheap way to jazz up your t-shirts, hoodies, tote bags, koozies, and more! If you are a dance team or any group that just wants to do something a little different, a shirt with custom rhinestones is the way to go. Our rhinestones are professionally applied so you don’t have to worry about them falling off! It’s bedazzling taken to a whole new level! *Availability subject to change without notification. Create glitzy, eye-catching designs. 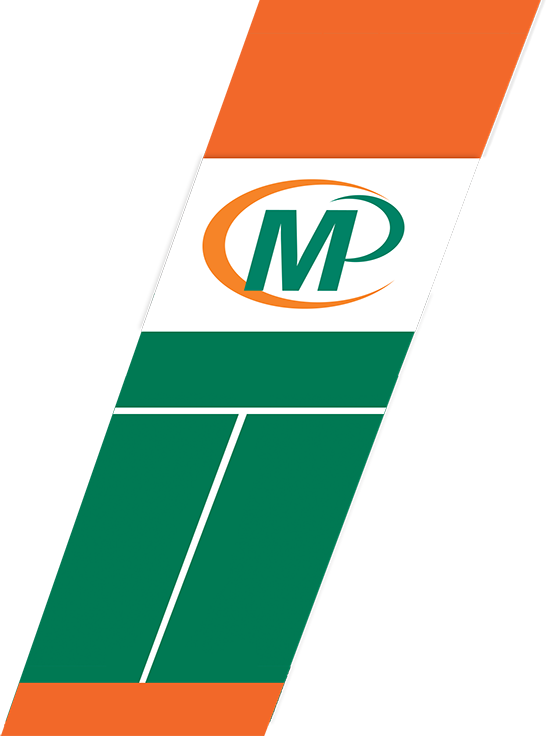 Available in 3 sizes (3mm, 4mm, 5mm). Korean-made rhinestones have low lead content. Meet CPSIA standards. Accentuate the bling factor. Available in 3 sizes (3mm, 4mm, 5mm). High-quality metal rhinestuds made in Korea, contain no lead. For fashionable designs. Available in 3 sizes (3mm, 4mm, 5mm). Smooth, rounded surface.